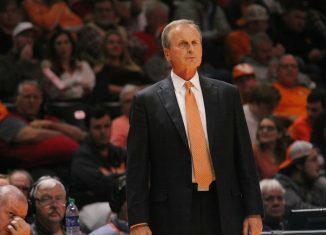 The Lady Vols’ struggles continued on Monday night, as they lost to Arkansas 80-79 in the annual “We Back Pat” game. 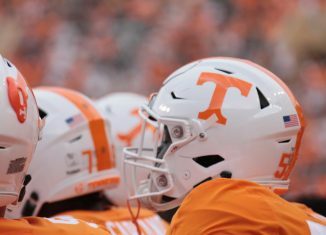 Not only does it mark the fifth-straight loss for Tennessee (12-6, 1-5 SEC), but it also marks their fifth-straight conference loss, which is a school record. 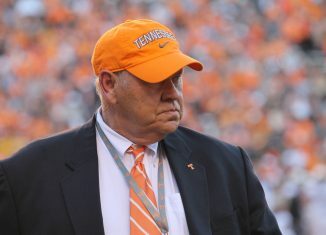 As for Arkansas, it was just the Hogs’ second win in Knoxville ever. “I loved our fight tonight, but we dug ourselves into a hole and couldn’t finish the job,” Holly Warlick said following the game. 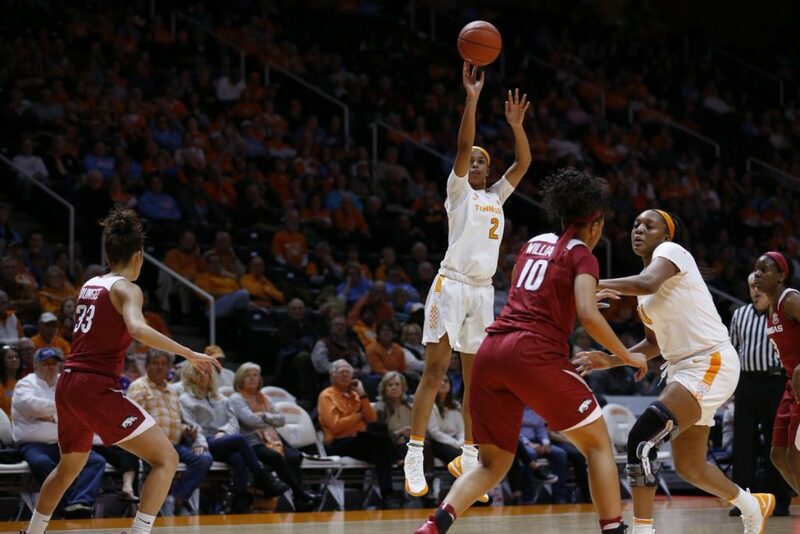 Arkansas led for the majority of the game, but the Lady Vols were able to overcome a double-digit deficit and take a 66-63 lead following a Rennia Davis three that capped a 7-0 run to start the fourth quarter. Tennessee led for most of the fourth until the Hogs hit back-to-back 3’s to take a 76-74 lead. The teams swapped scores before Evina Westbrook knocked down two free throws to give Tennessee a 79-78 lead with 11 seconds remaining. 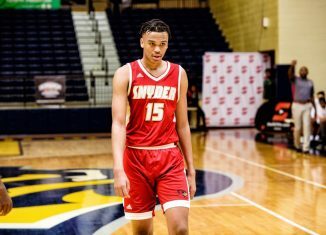 On the following inbound pass, Malica Monk got possession and took the ball all the way down the court and into the paint, stopped, pulled up, and drained a jumper to give Arkansas an 80-79 lead with mere seconds left on the clock. Holly Warlick then called a timeout with 3.6 seconds remaining to set up one final play. Westbrook caught the inbound pass and immediately bobbled the basketball before an awkward shot attempt clanked off the rim. UT jumped on Arkansas early, claiming an 11-4 lead midway though the first quarter. 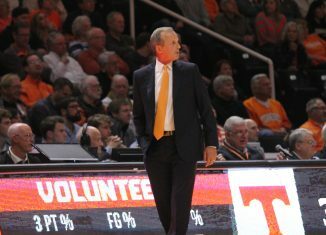 It was the most effort the Lady Vols had displayed in several games. 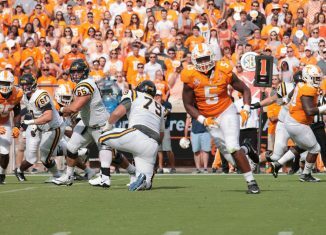 As locked in as it was to start, Tennessee’s intensity quickly dissipated. The Hogs countered with a 9-4 run of their own to claim a 20-15 lead at the end of the first quarter. 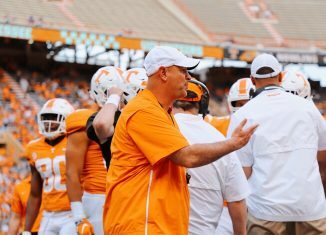 Tennessee’s struggles continued well into the second quarter. Unable to make shots, Arkansas extended its lead to as many as 13 on its way to a 40-31 halftime lead. Alexis Tolefree led the Hogs with 11 first half points on 3-of-5 shooting from three. In the opening half, the Lady Vols shot just 32 percent from the field and turned it over 10 times. Freshman Zaay Green had a team-high 11 points. 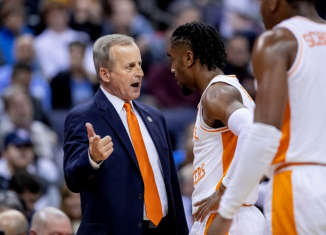 The necessary intensity returned for Tennessee to begin the second half, and it was much better shooting the basketball. 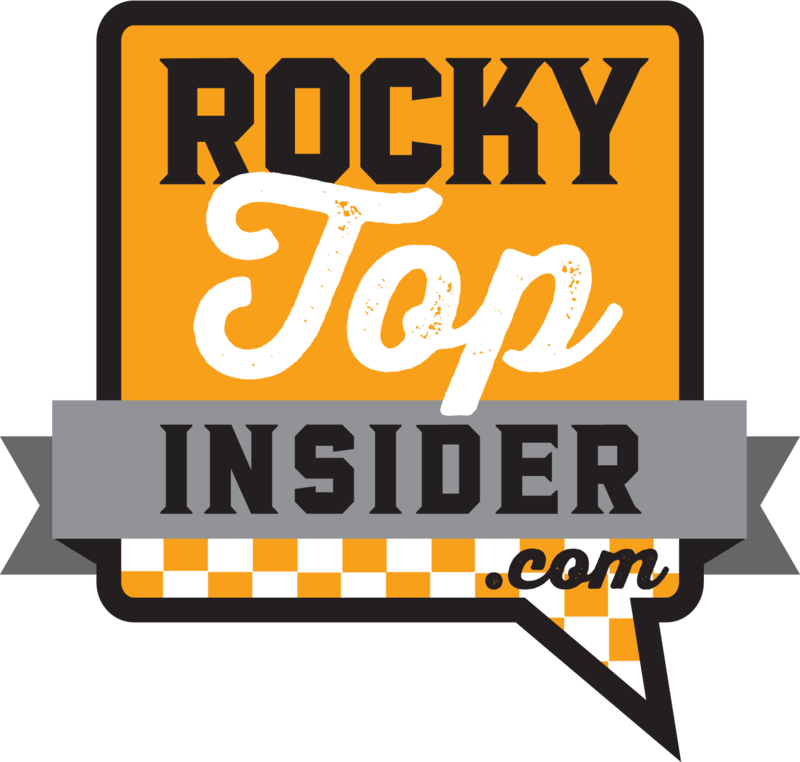 In the third quarter, the Lady Vols outscored Arkansas 28-23. But because Arkansas knocked down five threes, UT wasn’t able to close the gap on the scoreboard all the way. Here are the biggest takeaways from yet another disappointing loss for the Lady Vols. Until Monday’s game, Preseason All-SEC first team member Rennia Davis had started every game in which she was available for. Against Arkansas, though, Davis wasn’t in the starting lineup for the first time all season. In her previous three games, Davis was averaging 6.0 points per game on 7-of-29 shooting. Against Georgia two games ago, she scored six points on 2-of-12 shooting. In the following game against Alabama, she didn’t score on 0-of-5 shooting in just 19 minutes of action. Davis’ shooting struggles continued against Arkansas despite coming off the bench. On 3-of-12 shooting, she scored nine points and was just 1-of-6 from three. Davis also grabbed four rebounds. Starting in Davis’ place was sophomore post player Kasiyahna Kushkituah. In 14 games prior, she had started just five games and was averaging 5.4 points per game and 3.8 rebounds. Against Arkansas, Kushkituah scored four points on 1-of-2 shooting in 12 minutes. She grabbed four rebounds and blocked a shot. Arkansas added its name to the long list of opponents that have lit it up from the 3-point line against the Lady Vols. The Hogs made 12 threes on 32 attempts, scoring 45 percent of their points from the 3-point line. Alexis Tolefree led Arkansas from the 3-point line, making four of her 12 attempts. Monk was 3-of-7 from distance while Chelsea Dungee was 2-of-4. Jailyn Mason, Ra Northcross-Baker, and Bailey Zimmerman also made at least one three-pointer. On the season, Arkansas’ 12 made threes are the second-most the Lady Vols have given up. 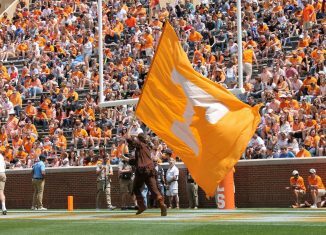 The 32 attempts is the most an opponent has attempted against UT this season. 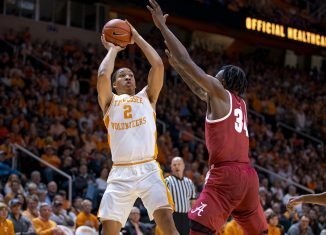 Since Meme Jackson scored 27 points in Tennessee’s SEC-opener against Auburn, the Tennessee native has failed to reach double-digits in five consecutive games. Known as a threat from beyond the 3-point line, Jackson has made just three shots from downtown during the stretch. The frustrating stretch peaked on Monday night. Early in the third quarter, Jackson left the game after driving to the basket. On the play, she came up lame, appearing to hurt her left ankle. She left the game unable to put any weight on it and later appear on the bench with crutches and ice wrapped around her ankle. 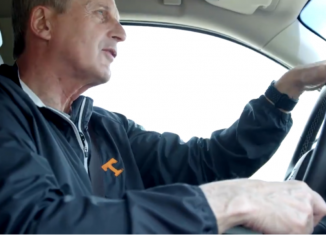 Following the game, Warlick stated that Jackson would be day-to-day. Things don’t get any easier for the Lady Vols as No. 1 Notre Dame comes to town on Thursday night. Tip-off is set for 7 p.m. ET on ESPN.